Empire Locksmiths and Security is your leading Parramatta locksmith, and we’re the smart choice any time you need a convenient, fast, and reliable service that won’t let you down. With over 10 years of experience in the field, it’s clear that we definitely have the knowledge and expertise to provide you with effective security solutions on all residential, commercial and strata properties. Whether you’re a homeowner or a strata developer needing a restricted key or access control system, we can help you today. We offer a wide range of locksmith and security services in Parramatta that will meet and, more often than not, exceed all your expectations. We’ll also give you peace of mind for the safety of your property with our 24 hours, 7 days a week emergency locksmith service. 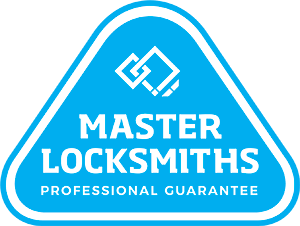 When you choose Empire Locksmiths, you’re getting a top quality locksmith in Parramatta and beyond, with a guarantee of quality. We can deliver this thanks to many years in the industry, which we’ve spent honing our craft and perfecting our security services. We don’t believe in short-term solutions; and with our 1 year guarantee you can rest easy knowing that the job will be completed to the highest standards every time. Our solutions don’t break the bank either – we’re sure you’ll be pleasantly surprised when you compare our rates to those of our competitors. We’re a whole lot more than just a Parramatta locksmith here at Empire – we’re also passionate about security in all forms, and we’ll be happy to both advise you on the optimal security measures, and provide you with products that will make your home or office a whole lot safer. If you want to protect your family and your property, then it’s important you do all you can to deter intruders. From high level key access systems, CCTV camera systems and electronic locking systems, we’ve got something to suit any situation or budget. 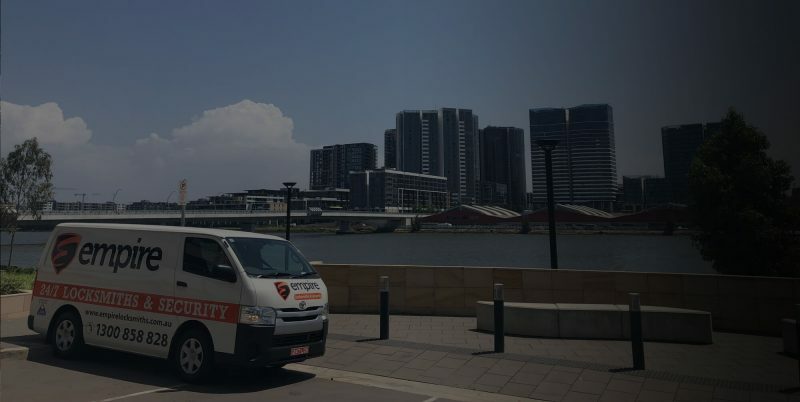 We know that emergencies can happen at any time of the day or night, and that’s why whenever you’re in need of a locksmith in Parramatta, we’ll have someone on call to rapidly assist. Being locked out of your home or car is a stressful experience, and something that can’t wait. That’s why you need a quick solution, and we’re the perfect company to provide it. We can also be there for you after a break-in, which is naturally quite a stressful time. Our staff will be understanding, professional, and friendly. We’ll quickly fix and reconfigure your locks so you can feel safe once again. Depending on how close to the Parramatta area you are, we can have an expert locksmith at your location in as little as half and hour, to minimise your inconvenience and rectify the problem as soon as possible. Our emergency locksmith services operate 24/7, so whether it’s 4pm or 4am you won’t have to wait. These services won’t hurt your wallet either! Think Empire Locksmiths might be for you? Our experience, expertise, and equipment helps to make us the premier choice in the Sydney area, and our highly trained engineers are up to any task. For more information regarding our locksmith services in Parramatta, please call 1300 858 828 now or email ray@empirelocks.com.au today. If you’d like to see what other happy customers have thought of us, why not check out our testimonials section too? Don’t take liberties with your security – choose Empire any time you need a security solution or a locksmith in Parramatta. Need a Locksmith in Parramatta fast?